Nexus owners with KitKat envy, listen up! Google has just posted factory images for most of the Nexus devices that will be updated to the newest OS. If you don't want to wait for an over-the-air update, which can take weeks to arrive, you can download KitKat directly from Google. The only downside is that everything on your device will be erased. You've been warned. The one device that won't be joining the KitKat party is the Galaxy Nexus. The official excuse is that the Galaxy Nexus is over 18 months old, but the real reason is that Texas Instruments, the company that made the SoC in the Galaxy Nexus, quit the smartphone business about a year ago. 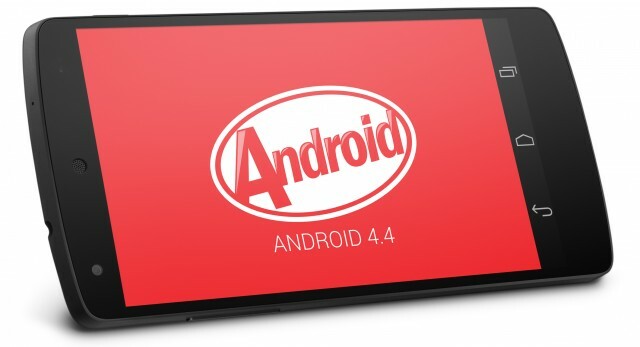 Official support for the chip has dried up, so there won't be a KitKat port for anything with a TI OMAP processor. A lack of official support has never stopped the modding community before, though, so if you have a Galaxy Nexus and really want KitKat, some Googling should be able to turn something up. If you're not quite sure what to do with these images, Google has a set of instructions right here. Remember: all your apps, pictures, and data will be deleted. Update: The Nexus 10 is image up—Google just forgot to include it in the table of contents. Acum poti folosi Instagram pe PC-ul tau!